Early-Morning Fire Tears Through Triple-Decker Building in Worcester, Mass. Crews in Worcester, Massachusetts, are investigating three overnight fires, one of which tore through a triple-decker building. Crews remained on the scene of the fire at 18 Preston St. Monday morning. Worcester Fire says three people lived on the first floor. Two people were home during the fire and escaped. One of those people was taken to a hospital as a precaution. One firefighter sustained a minor injury. 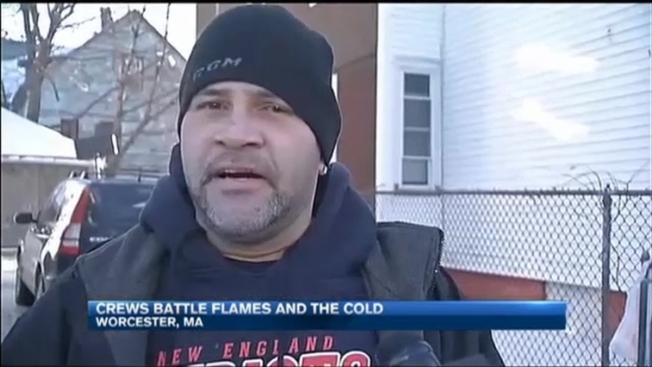 Cold-Weather Fires Break Out Across Weymouth, Mass. The building is expected to be demolished in the immediate future. Another fire was reported at 16 Henry Street. Five people lived in the single-family home and everyone got out safely. Another fire happened Sunday night around 5:30 p.m. at 27 Pineland Ave. The resident inside got out safely. The causes of the fires are under investigation.